To the student, Piano Adventures implies an exciting exploration. To the teacher, Piano Adventures implies a philosophy and mission to develop the student’s musical mind and heart. The process of guiding a young person to develop the mind (intellect) and the heart (expression) can help form valuable life skills: confidence, curiosity, discipline, self-esteem, sensitivity to nuance, work habits, and understanding how process relates to product. To this end, we teach and learn with ACE — analyze, create, and express. These three action words sum up our philosophy for teaching and our own self-renewal. The origin of “analyze” is Greek and means “to break apart.” The way we teach a piece should “break apart” its elements to show how the music is put together. This constant mini-analysis will develop a secure and rich musical understanding and be a model for independent learning. The origin of “create” is Latin and means “to make.” In the lesson, an easy entrée into student creativity is to build opportunities to make choices and changes. Short bursts of creativity using the pieces within the lesson make teaching lively, exploratory, and fun. Choice, change, and challenge = creativity! A master teacher is always curious to learn how to foster a student’s creativity using imagination, metaphor, and a spirit of play. Creative play engages a student’s attention and energy and promotes deeper learning. 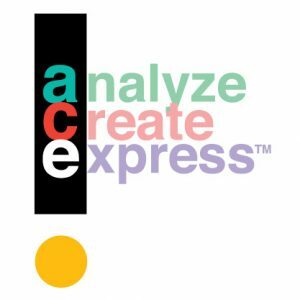 The origin of “express” is Latin for “a pressing out.” This “pressing out” implies there must be some impulse that sparks original expression. In music, expression begins with listening that primes the student to communicate an emotion or mood. The student makes a personal connection to the music, the words, or the art. The teacher is the bridge! Our own expression as teachers should be characterized by a variety of communication and teaching strategies. These will animate and elevate our teaching. 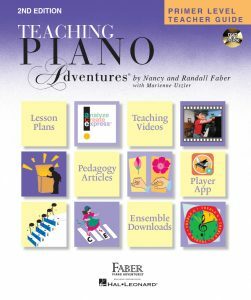 With the Primer Level Teacher Guide, we can learn to evaluate the larger aspects and smaller details of our own teaching, and lead each student through an exiting Piano Adventure!